Would you like to open a gateway to building an efficient innovation strategy? Would you like to learn how to deliver sustainable impact and investment in your region? 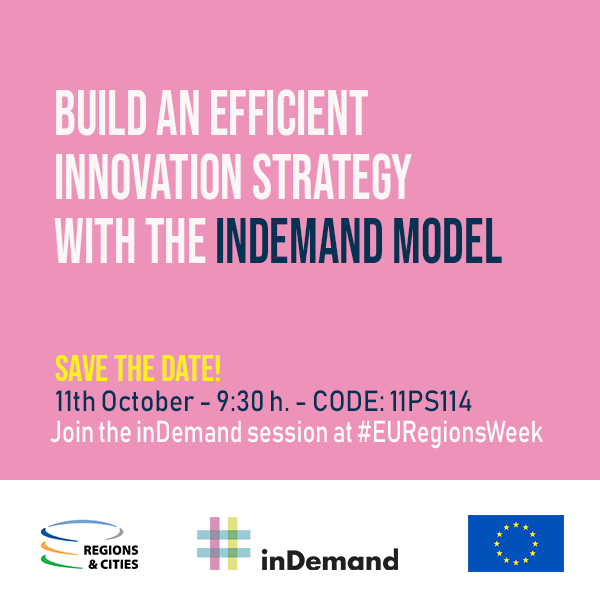 Join our session built around inDemand, a H2020 funded project. We will promote a new, innovative bottom-up, demand-lead model where healthcare organisations identify real needs and jointly with tech companies co-create eHealth solutions, with financial support from regional funds.